Summer Fashion Tips for Modest Dressers PLUS 8 Stylish and Comfortable Recommendations! The seasons are changing, in some places more sporadically than others. New York hasn’t seemed to have made a decision as to what season it is. In Las Vegas, where I currently reside, it is most definitely summer. Since it gets ridiculously hot here, I have had to learn how to dress in one-hundred and twenty degree weather. As the temperatures rise, the desire to wear tights and sweaters quickly drops. Seasons change, so should our wardrobes. Here’s a few recommendations on how to not sweat the heat along with 8 recommendations of some of our favorite pieces. Tight clothing in the summer is a recipe for stored body heat, and an unhappy woman. Loose fitting clothes allow more air to pass through, keeping you cooler. Keep an eye out for tops, skirts and dresses that are flowy and roomy. Look for one hit wonders! Simply put, the less layers, the better. Though many are accustomed to wearing tank tops over shells, those layers can add up and bring some unwanted heat along with it. Try to find tops that have the coverage you desire. 1. NEWMEAPPAREL has a line of tops with a high neck and a sleeve that comes right below the elbow. It comes in numerous colors, and at $15, it’s a steal! 2. Sami New York has created the cutest line of tee shirts that need no layering whatsoever. Even the white tops don’t need tanks under! Dresses are very in style now and are so fun to wear! Find dresses that don’t need slips – slips are great for smoothing out lines and giving an extra layer of coverage, but they also are great at added extra layers to your outfit. Dresses that are flattering and opaque will go the distance as the temperatures rise. We rounded up a few of our favorite dresses that are pretty, comfortable and don’t need any shells! 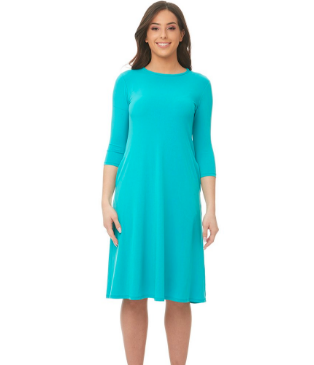 In addition to their popular line of modest swimwear, ModLi offers many beautiful modest dresses like the Olivia Blush one which is on sale at the moment, from $74.99 it’s only $44.99! Comes in a few colors and you can see the other dresses they offer. They also ship worldwide! 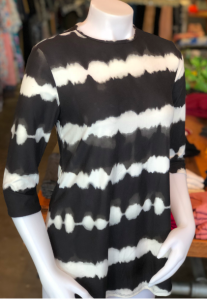 The boho dress is a fabulous example of a dress that is thin, provides coverage, and has plenty of room to breathe without looking bulky or oversized! $80 and up. When it comes to flowy and modest, mimumaxi kills it. I’m a huge fan of all of their frocks, but my favorite is their frock which comes in many colors. $68. Esteez online has a few dresses that are both flattering and smoothing, I own the Tammee, and I love it! $39.99 each. 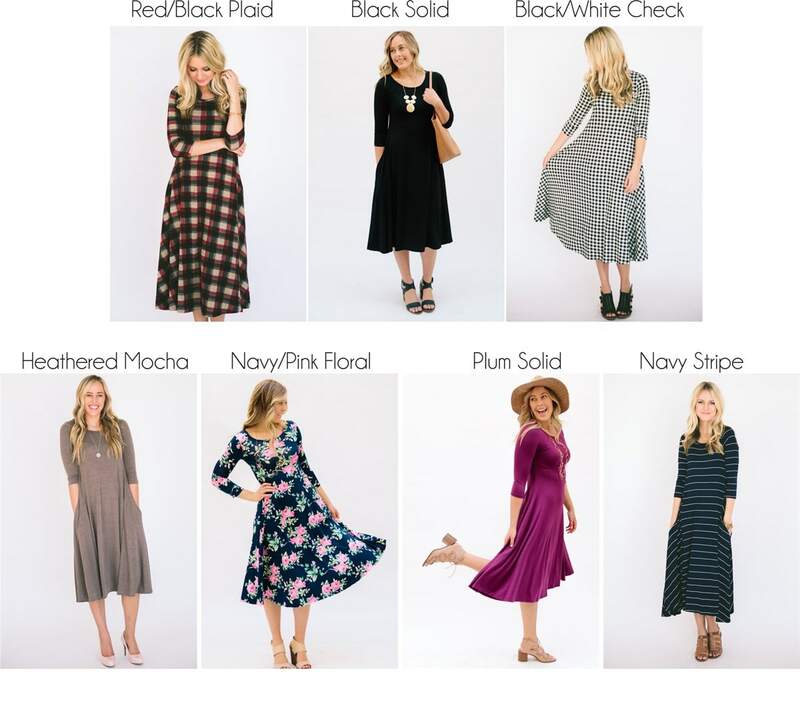 Kaleidoscope Modest Wear has a large selection of dresses that require no layering whatsoever, and many of those styles include a-line dresses that are both flattering and roomy! $37.82 and up! 8. Jane swing dress – on sale now! Even though layers are not the thing you need this summer, the idea of bike shorts is one that is necessary for most of us. Chafing is an issue none of us want to deal with. Shorts is the one item that your thighs will thank you for. To sum it up, less layers, more breathing room, happy woman. Please leave any other tips or links to YOUR favorite modest summer wear below! This post contains some affiliate links. Vintage Fashion is Making a Comeback; Here are 6 Places to Find It! 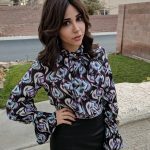 Bari Mitzmann is a mother, wife, educator and modest fashion blogger. She has been highlighted for her contributions to mental health awareness advocacy. She is also the creator of WOV, a podcast designed to empower women to achieve their goals, which will debut in July.